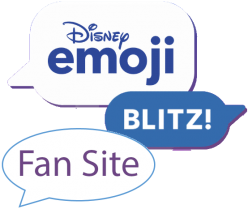 Emojis that represent animals. Not humans or robots. 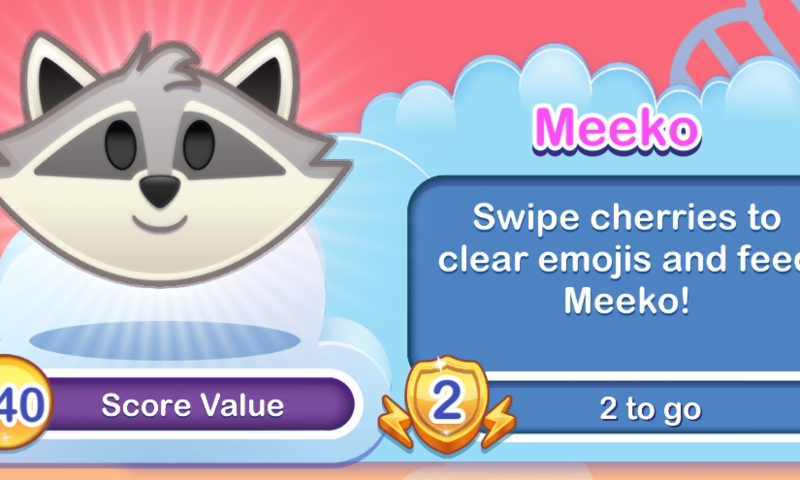 Swipe cherries to clear emojis and feed Meeko. 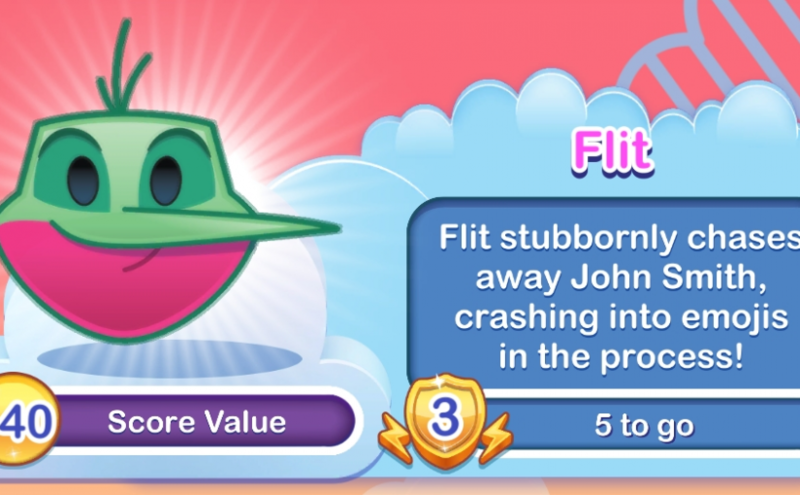 Flit stubbornly chases away John Smith, crashing into emojis in the process! 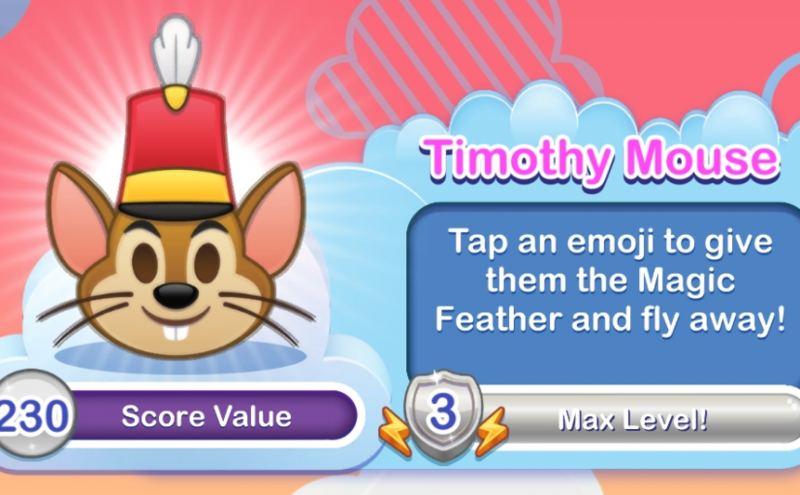 Tap and emoji to give them the Magic Feather and fly away! 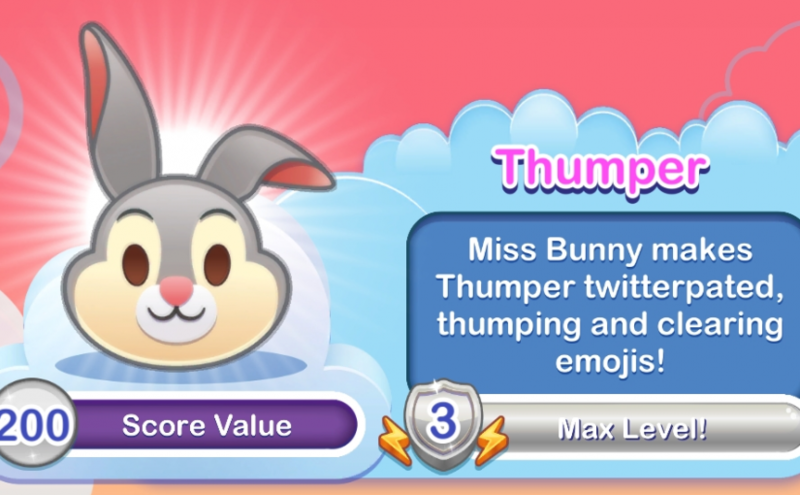 Touch any emoji, and all of the emojis of that same character transform into Dumbos and fly off of the board. 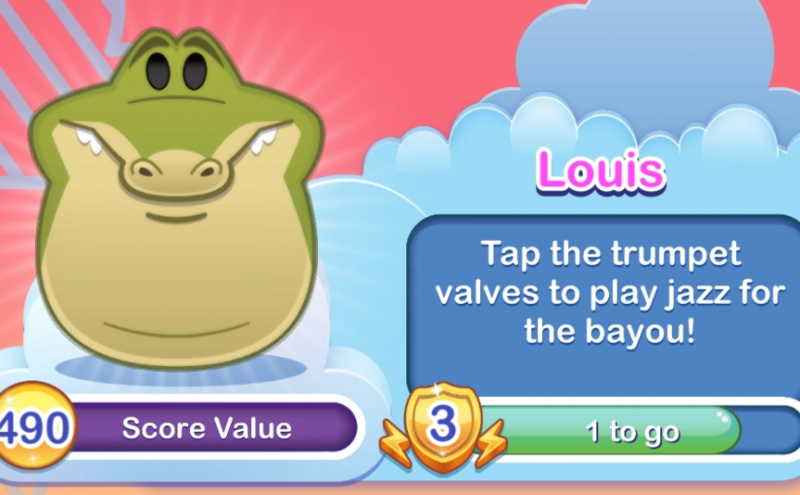 Tap the trumpet valves to play jazz for the Bayou! Ol’ Louis would give anything to be up there jamming with the big boys. 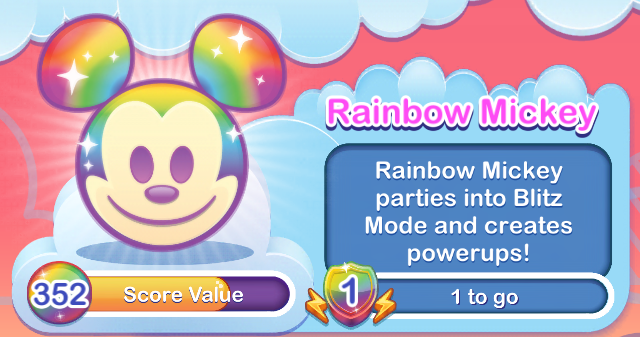 Press those color valves and match the music notes to play the music of the Bayou loud and proud. 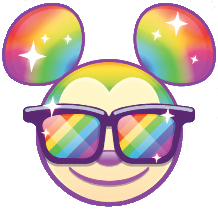 Tap Ray to turn him into a Rainbow Star, just like ma belle Evangeline. 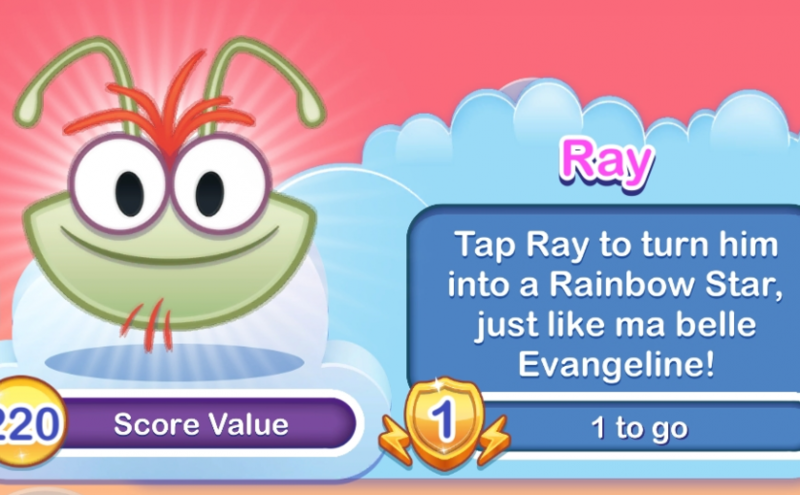 Ol’ Ray talk to his girl, Evangeline, almost every night! She is the most prettiest butterfly that ever did glow! 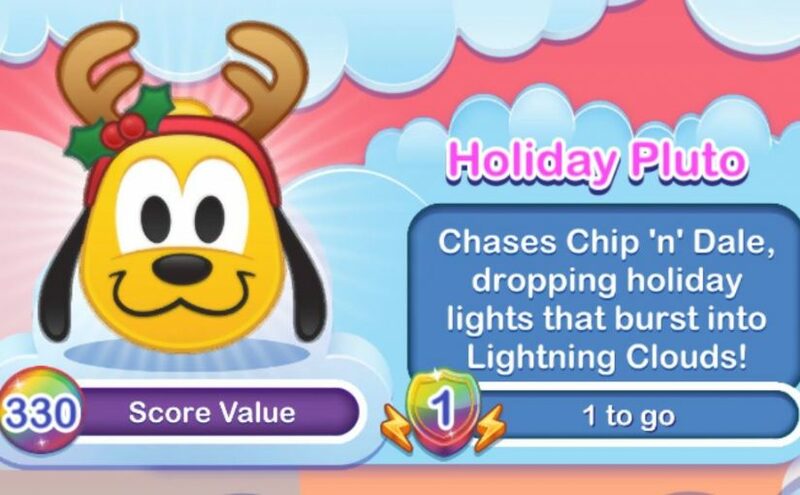 One day Ray will join her, and they gonna glow together.